Virtually all of the Báb’s followers accepted Baha’u’llah and became Bahá’ís by the 1870s. Under Baha’u’llah’s leadership, conversion of Shi’ite Muslims to the Bahá’i increased. Starting in the 1870s and 1880s, Iranian Jews and Zoroastrians began to join in significant numbers as well. Bahá’í teachers traveled to Egypt, Sudan, Palestine, Turkey, and India, converting Sunni Muslims and a smaller number of Christians. Bahá’ís escaping persecution in Iran fled northward into Russia and Central Asia and established large Bahá’í communities there. One teacher journeyed to Burma and converted both Muslims and Buddhists. The resulting Bahá’í communities were only loosely organized at first, but they gradually acquired copies of Baha’u’llah’s writings and deepened their knowledge of his teachings. 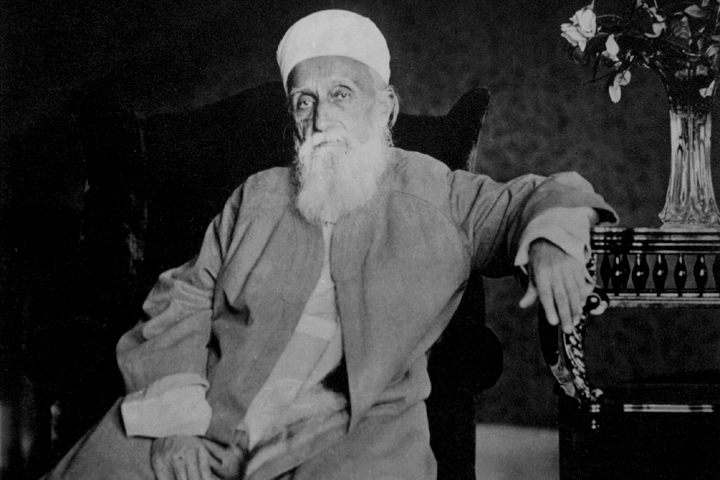 Several of Baha’u’llah’s works made it clear that his eldest son, Abbas Effendi (1844-1921) was to succeed him as head of the Bahá’í community. Upon his father’s death, Abbas, who took the name of Abdu’l-Baha (“Servant of Bahá’u’lláh”), was almost unanimously accepted as the leader of the Bahá’ís. A major focus of Abdu’l-Baha’s leadership became the establishment of the Bahá’í Faith in Europe and North America. He also made the consolidation of the Bahá’í community and the strengthening of community life a priority. In Iran, Bahá’í schools were opened and women’s activities were encouraged. Abdu’l-Baha further developed Bahá’í holy days by encouraging all Bahá’ís to observe them and by answering questions about their purposes. He also encouraged the practice of the Bahá’í Feast. The Bahá’í Faith was brought to the United States by immigrants from the Middle East. One of them, Ibrahim George Kheiralla, an Arab Christian from what is today Lebanon, became a Bahá’í in 1889 while living in Egypt. Three years later he traveled west to seek his fortune. Kheiralla arrived in New York in December of 1892 and by the spring of 1894 he had settled in Chicago and was giving classes on spiritual subjects. By the end of the year, five or six Americans had become Bahá’ís. The most prominent was Thornton Chase, a 47-year-old life insurance executive from New England with a Baptist background. While some Catholics, African Americans, and at least one Jewish person joined, the majority of converts were middle- and working-class white Protestants. In 1898 Kheiralla took a group of American Bahá’ís to Palestine to meet Abdu’l-Baha. They discovered many contradictions between Kheiralla’s teachings and the Bahá’í scriptures. In response, Abdu’l-Baha sent four Persian Bahá’í teachers to the United States to explain Baha’u’llah’s teachings to Americans. By 1905, six or seven books of Bahá’í scripture had been translated into English, and Bahá’í communities in several cities had elected governing bodies. The Chicago Bahá’ís organized a Bahá’í publishing society in 1900 and in 1903 plans began to build a Bahá’í temple. They purchased a site for the temple in 1908 and held the first national Bahá’í convention in 1909. The convention established the Bahá’í Temple Unity, the first national Bahá’í organization. Construction of the temple was the focus of much of the American Bahá’í community’s efforts for the next fifty years. Abdu’l-Baha visited North America for eight months in 1912, traveling from coast to coast to explain the Bahá’í Faith to the growing number of converts. From 1912 to 1921, the Bahá’í Faith spread to more American towns and cities, although growth was slowed by the First World War and by continued uncertainty about basic Bahá’í teachings. The Tablets of the Divine Plan, a collection of fourteen letters by Abdu’l-Baha, called upon North American Bahá’ís to spread the Faith to the entire world. His Will and Testament elaborated on the essential institutions and provisions for the Bahá’í world organizational structure ordained by Bahá’u’lláh. The document also recognized as his successors `Abdu’l-Bahá’s eldest grandson, Shoghi Effendi, and the Universal House of Justice (to be elected in the future). Shoghi Effendi was a student at Oxford and not quite twenty-five years old when Abdu’l-Baha died in 1921. Shoghi Effendi hurried back to Palestine and was shocked to learn he had been appointed “Guardian of the Cause of God,” the head of the Bahá’í Faith. Taking the Will and Testament of Abdu’l-Baha and the writings of Bahá’u’lláh as his mandate, Shoghi Effendi devoted his next fifteen years to establishing local spiritual assemblies, locally elected Bahá’í governing bodies founded everywhere nine or more Bahá’ís lived. Additionally, national spiritual assemblies were established in every country or region where there was sufficient development at the local level. He also translated a number of Baha’u’llah’s works into English and wrote essays defining and clarifying many basic Bahá’í teachings. Shoghi Effendi answered many questions asked by the Americans, producing a clearer understanding of theological and social issues. Better organization, clarity of understanding, and greater access to the scriptures produced genuine growth within the American Bahá’í community. By 1925 the organization to build the Bahá’í temple had evolved into the National Spiritual Assembly of the Bahá’ís of the United States and Canada. By the following year, forty local spiritual assemblies had been elected in the United States. The number of North American Bahá’ís grew from 1,500 in 1926, to 2,800 in 1936, 5,000 in 1944, and 10,000 in 1963. While Shoghi Effendi worked to give the Bahá’í Faith organization and focus, the rise of fascism and Stalinism threatened many Bahá’í communities in Europe and Asia. Shoghi Effendi began a series of plans for the systematic worldwide dissemination of the faith. The first Seven Year Plan (1937-44) was given to the Americans and Canadians, since British Bahá’ís were few and weakened by the onset of war, and the Iranian Bahá’ís were victims of unrelenting persecution. This plan called for at least one local spiritual assembly to be elected in every state of the United States and every province of Canada; the opening of every country in Latin America to the Bahá’í Faith through settlement of at least one Bahá’í or conversion of at least one resident; and completion of the exterior of the Bahá’í House of Worship in Wilmette, Illinois. The plan was completed successfully in 1944. The second Seven Year Plan (1946-53) involved electing a single National Spiritual Assembly for Canada, another one for all of South America, a third for Central America, establishing the Bahá’í Faith in ten western European nations, and completion of the Bahá’í House of Worship’s interior. The third plan, the Ten Year Crusade (1953-1963), involved all Bahá’ís worldwide in the establishment of Bahá’í communities in Africa, parts of Asia, rural areas of Latin America, and throughout the Pacific. 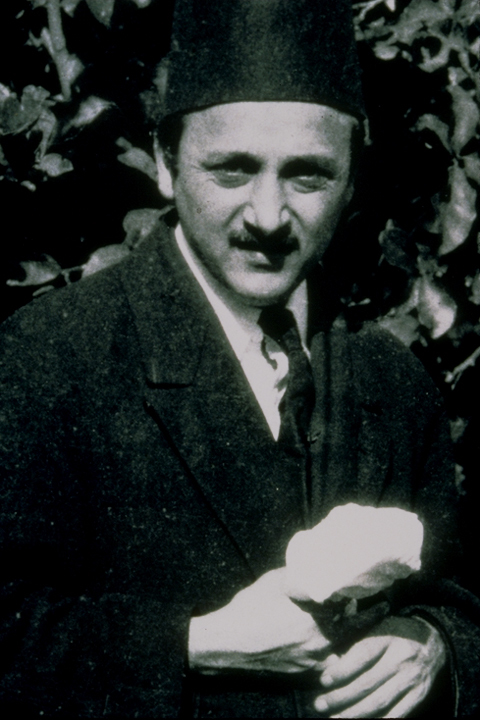 Shoghi Effendi died suddenly in 1957, halfway through the Ten Year Crusade. Before his death, he had appointed twenty-seven Bahá’ís as “Hands of the Cause of God,” a position of respect and trust but not authority. The various National Spiritual Assemblies agreed that the Hands should serve as custodians of the Faith until the Universal House of Justice, a body described in the writings of Baha’u’llah, Abdu’l-Baha, and Shoghi Effendi, could be elected. The House of Justice, which was elected after the conclusion of the Ten Year Crusade in 1963, has continued Shoghi Effendi’s practice of drawing up international plans. The late 1960s and early 1970s saw a dramatic increase in membership in the United States, Canada, Australia, and western Europe. Together these nations now have perhaps 250,000 Bahá’ís, twenty times their numbers in 1963. In the United States this growth was largely the result of the attraction of thousands of college students and other youth. Many of these youths went to rural areas to teach the Bahá’í Faith door-to-door, resulting in thousands of minorities joining the Bahá’í Faith. The African-American portion of the American Bahá’í community expanded greatly, from about 10 percent to perhaps 20 percent of the membership, and the Bahá’í Faith was firmly established on over fifty American Indian reservations. By 1974 the number of Bahá’ís in the United States had grown to 60,000, six times the number ten years earlier. Although the growth rate subsequently slowed, the American Bahá’í community has continued to increase. By 2013 the membership was approximately 171,000. Immigration augmented conversion. From 1975 to 1980 as many as 10,000 Vietnamese, Cambodian, and Laotian Bahá’ís left Southeast Asia to settle in the United States. In the late 1970s and the 1980s they were joined by 10,000-12,000 Iranian Bahá’ís, who fled persecution after Islamic government took power in Iran. Expansion of the American Bahá’í community in the last thirty years has allowed increased resources to be channeled in several new directions. The Bahá’í community has been able to sustain a much greater commitment to the abolition of racism, the development of society, and the establishment of world peace. It has increasingly expressed its commitments through a series of core activites devoted to empowering junior youth (aged 12-14), youth (aged 15-20), and adults to make changes in their own neighborhoods and villages. The larger membership also produced an expanded book market which stimulated writers and scholars, so that Bahá’í literature developed greatly in scope and depth. Cultural expressions of the Bahá’í Faith such as operas and “Bahá’í gospel music” have become much more sophisticated. Media attention has steadily increased. Now more than a century old, the American Bahá’í community is clearly not a foreign import, but an indigenous American religion with fifth and sixth-generation members. Worldwide, the Bahá’í community today numbers over 5 million. Bahá’ís reside in more than 200 countries and territories, making the Bahá’í Faith the second-most-widespread tradition, after Christianity. More than 2,100 different ethnic groups are represented, making this youngest of the world’s independent religions among the most diverse on earth.